McCurley’s Floor Center, Inc. has provided quality Flooring, professional installation and honest flooring service for over 40 years. From award winning flooring service to our professional in-house flooring installers, we have the knowledge and experience to provide you piece of mind and a hassle-free flooring experience including our lowest price guarantee. Our flooring products have been featured in many commercial and residential Flooring projects. We provide commercial and residential carpet, carpet tile, hardwood flooring, laminate floors, pre-finished and unfinished hardwood floors, resilient vinyl and vinyl tile (VCT), luxury vinyl tile (LVT), ceramic tile, marble and stone tile, shower and wall tile, green flooring, bamboo and cork flooring, area rugs, floor care and maintenance products, stairs, custom wood flooring including refinishing hardwood floors, rubber flooring, specialty floors, baseboard and crown molding, flooring adhesive and flooring accessories. 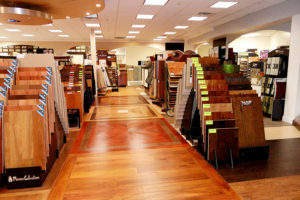 Come and visit our flooring stores and showrooms in the Northern California Bay Area in San Ramon Danville and Concord Walnut Creek where you can view hundreds of the latest flooring styles and designs from all the major brands of flooring. McCurley’s Floor Center provides flooring and flooring installation for commercial and residential spaces in Alameda County, Contra Costa County, San Francisco County, Concord, San Ramon, Walnut Creek, Danville, Alamo, Diablo, Lafayette, Orinda, Moraga, Dublin, Livermore, Pleasanton, Blackhawk, Martinez, Pleasant Hill, Santa Clara, San Jose, Oakland, Berkeley, San Francisco, Tracy, Cupertino, Mountain View, Saratoga, Los Gatos, Sunnyville, Milpitas, Palo Alto, Brentwood, Fremont, Hayward, Antioch, Piedmont, Castor Valley, and other Bay Area cities as well as nationwide. Our flooring stores and warehouses carry a large inventory of flooring at discounted special prices including carpet, carpet remnants, hardwood flooring, laminate, vinyl floors, tile flooring, floor cleaners, floor adhesive, carpet pad for immediate delivery and installation. We offer free in-house/on-site estimates and design consultation as well as free delivery to most areas. Our professional distributor channels provide quick and easy delivery nationwide. In addition to our residential and commercial flooring projects, which have included homes, condos, townhouses, schools, malls, offices, business parks, retail stores, airports and others, we provide Floor Contracting services and our in-house, experienced flooring installers are ready to provide reliable and timely floor installation, including weekend and after-hour service, to designers, realtors, builders, general contractors, property managers, architects, and more. McCurley’s Floor Center, Inc. strives for sustainability and is committed to partnerships with green and environmentally-responsible flooring companies who maintain our natural resources. What’s New in 2019 from the STAINMASTER carpets? Mon – Fri: 9 am. – 6 pm. Sat & Sun: 10 am. – 5 pm.